Years ago, I think Sonia G’s blog, Brush Temple and forum was my first introduction to Japanese makeup brushes. I was so happy when she first announced her brush line and my ecstatic grew when she launched the new Pro Series with Beautylish. Today I have the pleasure to show you the Pro Eye set, I hope you enjoy! In my opinion, the regular/fundamental line was created certain products in mind, creating more unique brushes with shapes that haven’t been released before (or as often). 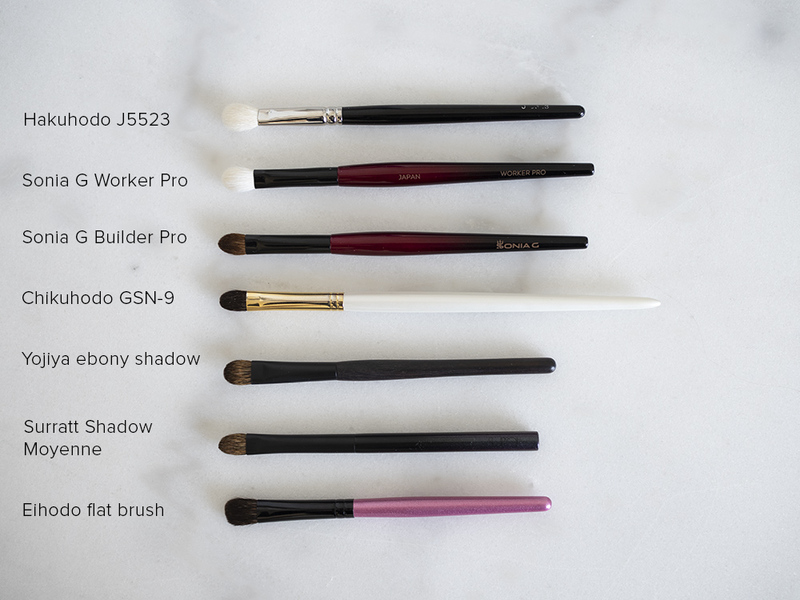 The Pro series were designed to be “workhorses” for makeup artist and brush aficionados in mind. The handles are lighter, slimmer, quite similar to traditional art paint brushes. The shapes are more familiar to existing brush series, but finessed to perfection. Each brush is hand-crafted in Kumano, Japan. The Pro Eye Set retails for $150 (€~133.3) exclusively on Beautylish and you get free shipping to Finland. I think this set was created just for me… thanks Sonia! Haha, no, but the shapes and sizes are pure perfection for my hooded eyes. Nothing feels awkward or clumsy to use. I haven’t used these brushes for the face or sculpting eye brows, I think I have better brushes for precise powdering, highlighter etc. Personally I’d use any of these brushes (even dyed ones) for picking up and applying cream products. The quality of the Pro Eye set is excellent, I expected nothing less from Sonia and Kumano crafted brushes. The saikoho hair is very high quality and if you haven’t used Japanese brushes before you will instantly notice how silky soft these brushes are. I have washed the brushes set several times and none of them have lost their shape, shedded or otherwise loosened up. Naturally, each brush will get a bit fluffier after the initial wash, for more info on how to wash your brushes check out this post. With the fundamental brush set I had a slight problem with the ferule size, especially with Builder One as the ferule always poked the eyeshadow I was trying to pick up. These minimal, black ferules of Pro series are both beautiful and use friendly. Handles of the Pro Eye set are lighter and easy to use, perfect for professionals or other “heavy users”. The handle shape makes me feel nostalgic and think about watercoloring, but I do still like the more elegant, large handles of the first release.. This flat brush is slightly tapered from the sides, making it precise and easy to control for packing on color. I like to use this mainly for patting color on the mobile lid, building some intensity to the outer ‘V’ or adding highlight to inner corners. You can use the tip even for smudging or softening the lower lash line, it’s that precise. Builder Pro is dyed saikoho goat hair, making it very soft and less “floppy” than squirrel counterparts. Blender pro is dyed saikoho goat hair. This brush is the largest and bendiest of the set, but still packed densely. I think the round ferule and only slight tapering makes this fluffy a good blending brush for larger areas and a diffused look. I usually don’t apply color with this brush, except base color which is easy to do with just two swipes. Crease pro is better size for my crease, so this brush might be the one I use the least. It’s still very nice, denser version of Hakuhodo BJ142 but less fluffy than the Tom Ford 13 for example. I think this is the maximum fluffing of Blender Pro as I’ve washed the brush several times. 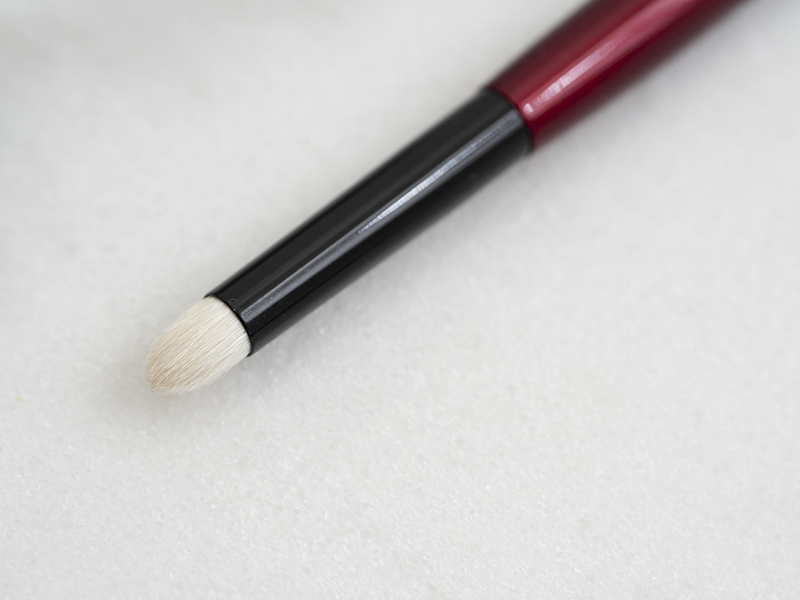 This brush has an excellent tapered tip which gives control for blending. It’s less fluffy and more firmly packed than than Hakuhodo BJ142, Tom Ford 13 or Kumanofude Select Shop SS4-1, making Crease Pro universally a very good blending brush. You can apply color, blend, work on the crease or do transitioning with no problem. I like how there’s strength in the tip, making it efficient worker when blending hard-to-apply colors like dark purples and blacks. For larger lid space or very diffused placement I’d reach for the other brushes, but Crease Pro has become unreplaceable for me. Crease Pro is saikoho goat hair. This brush is notably much slimmer and less fluffy than the popular Hakuhodo J5523 (aka softer “dupe” for MAC 217), more like a hybrid with a classic flat squirrel brush and the Hakuhodo. Worker Pro is very soft and has nice tapering on the sides, which makes it excellent for both patting on color and blending. I thought the Hakuhodo J5523 would be irreplaceable, but Worker Pro sits better with my hooded lids for placing and blending transitional color to the crease. Perfect for both cream and powder products. Worker Pro is saikoho goat hair. This brush is unique and stunning. To this day I’ve loved Koyudo’s C011 pencil brush as it’s a bit larger and less tapered than the natural hair Tom Ford 14. Sonia G’s Pencil Pro has a very tapered tip but the round ferule is larger, making the brush a bit fatter, domed, denser and easier for firm control and blending. For inner corner highlight I still like the Koyudo C011, but for lower lash line, smudging pencils or detail work in the outer ‘V’ - the Pencil Pro is a must-have. Made of saikoho goat hair. If you love eyeshadow and don’t already own a sufficient amount of quality brushes, I do recommend this set despite the high price tag. Hakuhodo does make less expensive eyeshadow brushes that work similarly, but for me the Pro Eye were excellent investment as they became some of my most reached for brushes immediately. They’re so good quality, I think using soft saikoho hair also rises the price tag. If you’re a beginner I’d pick up some other brush brand first. For makeup enthusiasts or people with very sensitive skin who can save up some $ and want to invest in a good set then Pro Eye is the way to go. 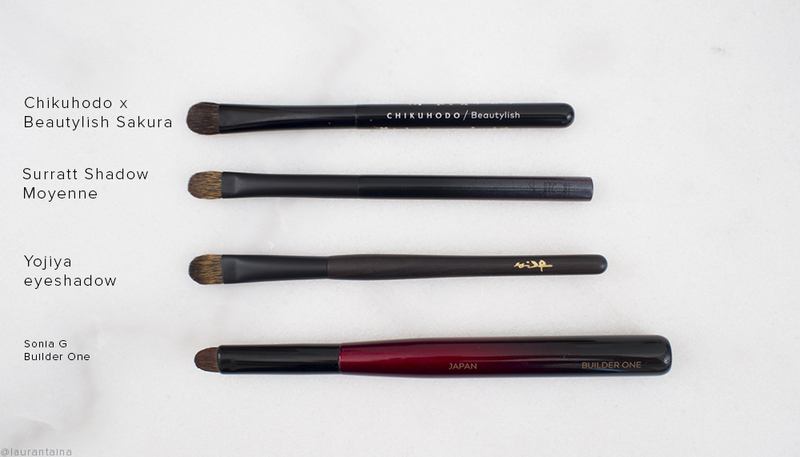 Have you tried Sonia G or other Japanese brushes? Eek I can’t believe I’m typing this - it’s time for my yearly roundup of favourite products. Everyone and their dog has probably typed how they can’t believe it’s already 2019, but my mind is still orientated it’s September or October. Past two to three months has just flashed by. I’m trying to list you only new products I’ve discovered (or/and reviewed) in 2018. Not all of these items are brand new, but they are new to me. My initial list was massive, so I’m trying to list only crème de la crème, best of the best, non-negotiable items. This doesn’t mean I’m not standing by my other recommendations, they’re still good, but the items in this post deserve the extra attention. Enjoy! Sonia G (aka Sweet Makeup Temptations) smashed 2018 with Beautylish. Her brushes are so gorgeous, designed and manufactured with absolute finesse. I skipped the first set, but decided to pick up some individuals and later her PRO Eye Set, which was even more to my liking than her first eye brushes I purchased! It solved one design issue I had with a smaller eye brush (review here). In 2019 I’m dying to pick up more face brushes from her. I also loved Hakuhodo’s G511 “salt and pepper” brush, which became my most used contour brush in 2018. It’s much cheaper than Surratt’s contour brush, which is also lovely, but I think for most people I’d recommend the more affordable Hakuhodo. This brush is also less dense, and gives nicely diffused edges for cheek and neck contour. This Fall I wrote about my obsession with Atelier Cologne and Mimosa Indigo* (review), which instantly became my signature scent. It’s unique, light and elegant and perfectly balanced with floral and leathery tones. Atelier Cologne also has such attention to detail in their packaging and service, so I’d recommend them for anyone looking for a luxe gift. ..Then came Black Friday and I made some perfume investments and purchased a couple of perfumes from Tom Ford, including his Tobacco Vanille, which will get a post of its own. I love how Tom Ford’s perfumes last very well on me, I can even smell them on my clothes. I think one of the best (free) gestures of affection is borrowing your scarf with your scent and perfume on it.. Hehee, perfect during cold Finnish Winters. Gosh, it was a great year for skincare in 2018. I discovered and loved so many, especially wash-off masks, but they were mainly old favorites (Mahalo, Max and Me). My best new discoveries are exfoliation related, both acid, powder-to-paste and cleansers with beads (non-plastic of course!). I especially fell in love with de Mamiel’s Cleanse and Exfoliate that works great both as a quick brightening mask and an exfoliant. I also tried the iconic Biologique Recherche Lotion P50 in mini size and purchased a full size bottle once I ran out. I can agree it’s worth all the hype and every penny, but certainly not for sensitive skin. Then there is Tata Harper. I had the pleasure and privilege of meeting her this Summer in Naturelle’s event and her product made such a lasting impression me: luxury and efficacy meet eco beauty. Her Regenerating Cleanser* (also available on Cult Beauty*) quickly became favorite to me, you’ll notice its refreshing effect right away. The bottle in my hand looks almost full, but I’ve gone through a couple of minis. I also tried a bunch of good hydrating serums and ampoules this year, but the one that was above others is Esse’s R6 Serum*. Not only Esse products are packed with probiotics, but also this serum plumps and hydrates in instant - contesting my old fav Kypris Antioxidant Dew (review). Another hydrating product I’ve been reaching are the Kicks sheet masks*. 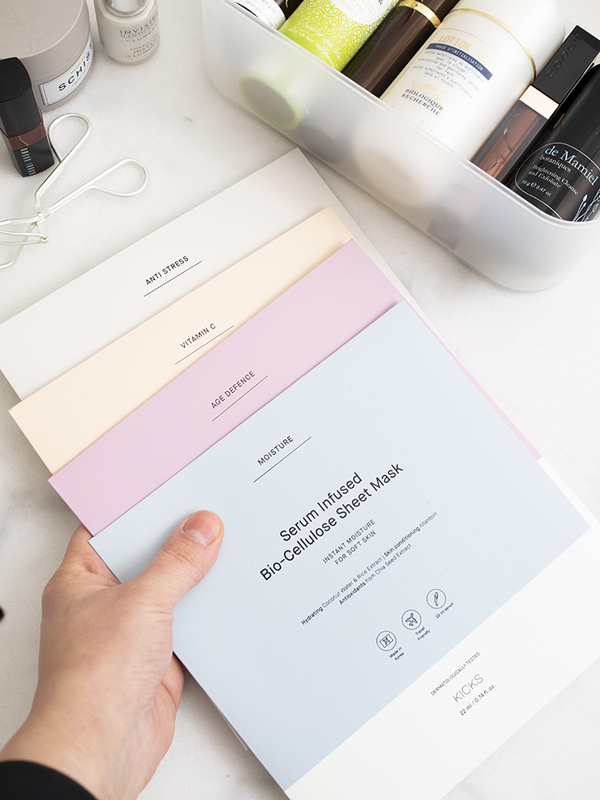 Although I’ve seen Korean sheet masks with better ingredients list and cheaper price tag, Kicks’ bio-cellulose sheet masks are pretty easy for us Nordic/Scandi people to access. I’ve never really liked jelly or gel masks before, but the Kicks ones stick to the skin without slipping and sliding. They’re thin, thin, comfortable, cooling and packed with moisture. They also come with a generous amount of serum and I use the excess for my arms and décolleté. Last but not least - Ben and Anna deodorants (review)*. To this day, I’ve used up almost 4 tubes of them in various scents. I love it the packaging is recycleable, scents are not overpowering, but above all - these deodorants keep me odour free and feeling dry! Naturally baking soda and shea butter based, formulated without any aluminum. The only con is I go through these pretty quickly. I tried and tested some very good hair products this year, but I can’t choose one shampoo or conditioner over the others as I tend to mix and match them according to my hair’s needs. My most “mind blowing” hair experience was meeting Mark Birch and learning about proper scalp health. Since then I’ve been washing my hair and scalp almost daily! Unfortunately I’m not the biggest fan of the tar-like scent of his products, so I do rotate them with others. The Maria Nila Schist fibre cream* is certainly my most reached for styling product this year, I much prefer it to the OUAI matte pomade. I like how Maria Nila’s matte texture hard-to-detect; as if I had woken up with my hair styled nicely. I use it to add some nice texture, hold and add that piece-y look to my short hair. I think this was the easiest category for me to choose from. I’ve tried a good amount of very nice makeup this year, including cream blushes, new shades from firm favorites (Tom Ford and SUQQU), but what raised above everything else were SUQQU’s Glow Touch Eyes (review), creamy liquid eyeshadows. Not as opaque as my other favorite Rouge Bunny Rouge Cream shadows, but still very lovely and perfect for easy eye looks. 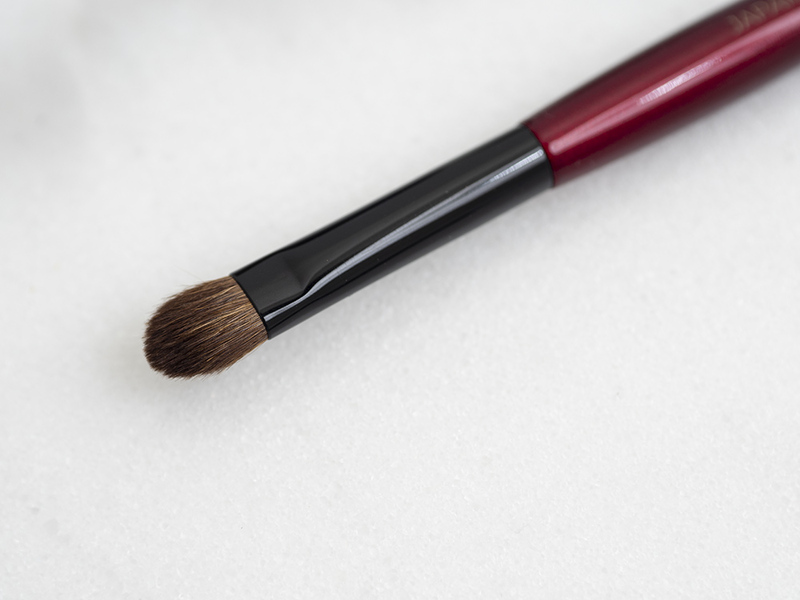 Just a quick swipe with the applicator and blend with a fluffy brush and you’re done! Honorable mention goes to Lumene’s Invisible Illumination Instant Luminizer*. It can be doubled as a glowy primer and a highlighter, but personally I prefer the former method. I apply a couple of drops on my cheeks and blend with my fingers before applying a tinted moisturizer. The result is less flashy than RBR liquid highlighter so you can wear it on its own too. Then I have two mascaras that are outstanding: Lancome’s Monsieur Big (not pictured - review here, available at Kicks.fi*) and MAC’s classic Extended Play Gigablack mascara (available at Kicks.fi* and MAC counters). Monsieur Big gives the perfect doll like fat lashes while MAC’s Extended Play Gigablack mascara has the perfect dryness from the first application, holds a curl and won’t smudge during the day. I rarely purchase high-end mascaras, but these are total repeat items! 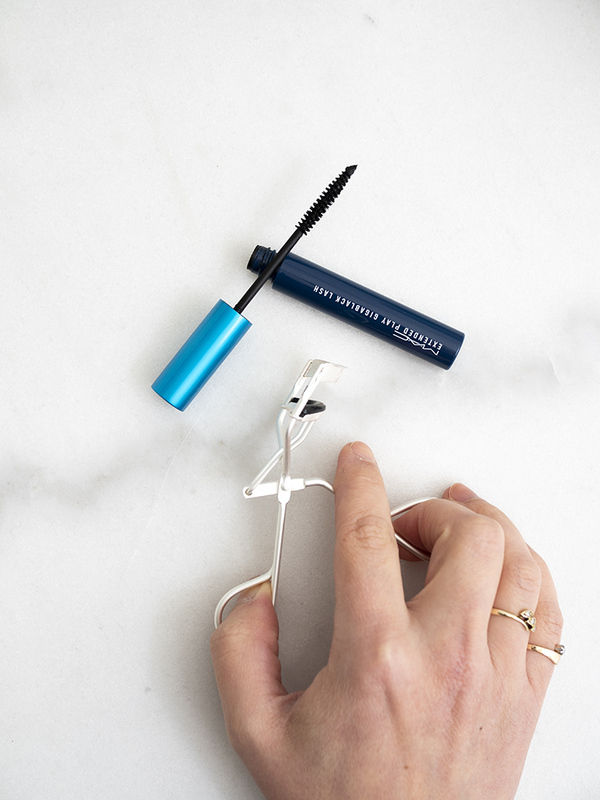 Speaking of lashes, I love Tweezerman’s lash curlers*. Who knew this classic tweezer brand made eyelash curlers (or “Hell Machine” as my gf says) as well? I’ve tried both the regular and round eye version and they both create an amazing, long-lasting curl and won’t pinch my eyelids! Last but not least there’s Bobbi Brown Crushed Lipstick in Ruby (mentioned here). Gorgeous everyday muted red shade that wears like a stain without drying the lips. I’m eyeing more shades from the Crushed range..
* Products marked with an asterisk (*) were kindly offered for review. My thoughts are honest and my own. 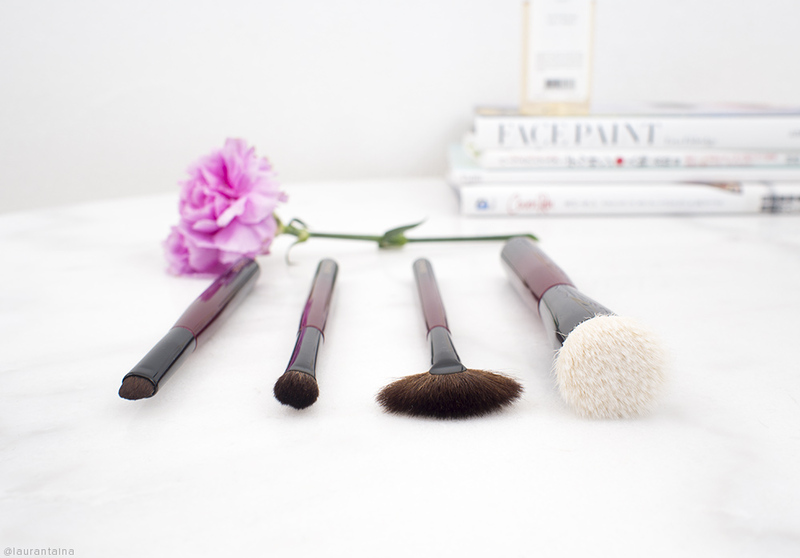 Today I'm so excited to share with you the one and only - Sonia G brushes! I've gotten some questions are these brushes worth the splurge, but I gave it a few weeks to properly try, test and play with these brushes for the review. I wanted to make sure I've washed them several times and tried with different makeup before giving you my final verdict, they're valuable after all. I've followed Sonia's blog for years and her Brush Temple has been a tremendous help when first purchasing Japanese 'fude' or brushes. I'm so glad she got her own line!! Sonia aka the mastermind behind Sweet Makeup Temptations blog is a Japanese fude/brush connoisseur with a collection of +2000 brushes! She's not only a brush collector but truly passionate about the craft. 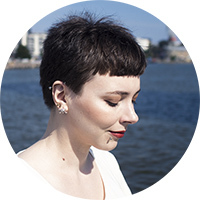 Her devotion, love and passion for brushes and Japanese craftmanship can be read from her immaculate, fun and informational brush reviews and articles. Sonia has travelled many times to Japan and Kumano, where Japanese hand-crafted brushes are made. She is also a friend of Wayne Goss, a well-known Makeup Artist and Youtuber, whose brushes are also sold exclusively on Beautylish. In her Switzerland home Sonia has a room called the "Brush Boudoir" devoted to store and display her beautifully crafted brush collection. 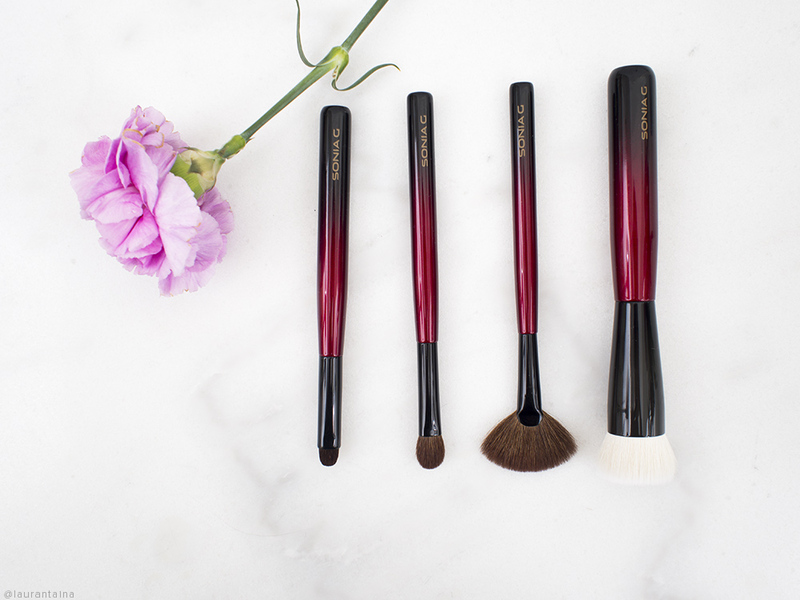 Sonia's brushes are exclusive to Beautylish, hand-made in Japan. Her Fundamental Brush Set retails for $362/~€302,60 (8 brushes), also sold individually from January 2018. Right now her collection consists of 16 individual brushes retailing between $28/€23.4 and $75/€62.7 per brush. Now to me - these handles are pure art except for the typography which isn't hundred percent my cup of tea (but I'm picky when it comes to typefaces). The wood is sustainably harvested maplee wood and coated with four layers of pigment and lacquer for a rich color and glossy finish. I love different color handles and the gradient just gives another level of luxury to the brushes. I'm very glad that Beautylish states the wood and lacquer technique, as these are a huge part of the Japanese craftsmanship that's put in Kumano Fude brushes. As the ends of the handles are rounded, I've experienced no dents or chipping of the coating (unlike with Hakuhodo S-series). I personally like medium length handles. So far the handle length has been okay, but sometimes I find the ferules a bit chunky. For the Base One I would've preferred a shorter handle for more precision and control, but I'll talk more about it later. These handles look modern and chic, I only wish the typeface and logo (bottom of the handles) was different.. Some of you might like it though, can't please everyone! The set and collection are definitely interesting. I feel Sonia created brushes that she wanted, needed or didn't already have for her purpose. I can imagine her playing with makeup and wondering "Why don't I have the perfect brush for my Natasha Denona glitters..." haha. Of course this is just my imagination! But her original set didn't make a complete brush collection in my opinion if you're a working makeup artist or just a brush enthusiast. I think Sonia's brushes are well-catered to people who are missing something or looking for a brush to special product or use. In my opinion you should research your existing stash both in makeup and brushes: is there a makeup product you've been dying to use but didn't have the right tool? Are you always reaching for a brush you don't have? I think Sonia's unique collection has you covered. There's such creativity and knowledge behind the design combined with beautiful Japanese craftsmanship. I wanted to test Sonia's brushes without breaking my bank account, so I asked her some recommendations on Instagram. I have no experience with fan brushes so I probably wouldn't have picked up Sculpt Three without her suggestion. I immediately knew I wanted Base One; Sonia has always talked about how sensitive her skin is and previously duo-fibre stippling brushes have been too much for my dry skin. I had high hopes Base One would be soft and gentle (spoiler alert: it is)! Builder One looked very unique type of brush, firm and very narrow, but perhaps "finger-like" to pack on glitters where as Worker One seemed like a good alternative for Hakuhodo J5523. This brush is an interesting one and very unique. I can imagine Sonia created this brush to pack Natasha Denona shimmers and metalics as she's a big fan of ND. If you needed something with absolute control when you pack on your glitters or want to sharply smudge your khol liner, lower lash line etc. then this is a brush for you. To this day I've liked pencil brushes, but Builder One gives its user more control and definition. The bristles pick up any kind of shadow. Needless to say, I still haven't got 100% hang of this brush as I make errors when I try to pack the side of the brush with shadow. I try to explain to my best: the ferule is fat compared to the hairs and I keep denting the eyeshadow pan with the edge of the ferule, which annoys me to bits. But I like to think that's me being clumsy, not exactly the brush's fault. Worker one is designed to be used as an eyeshadow blending brush and it's excellent for distributing color on the lid with one swipe. It can also be used for contouring and defining the eye, thanks to it's shape that's both flat yet fluffy and oval. I like to use circular motions for buffing the color or back-and-forth "windscreen wipe" motion to evenly blend. The shape is a bit large for working in the outer 'V' area, but you could do it in a pinch. This is like Hakuhodo J5523 (MAC 217) on steroids. 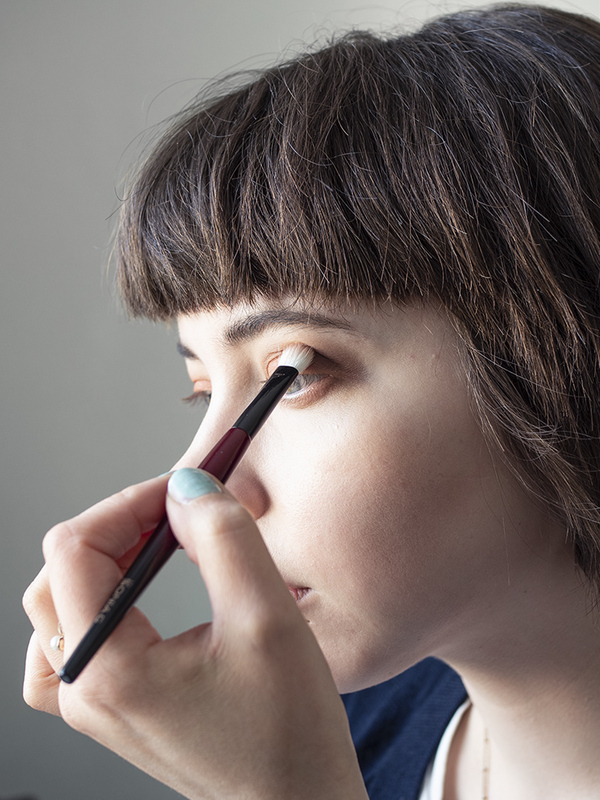 With my hooded eyes I think J5523 is a bit better for blending the crease or even a more tapered brush, but if you have more space than I do - there's a brush for you. Originally I wasn't very interested in fan brushes as I have little experience with them - I only have some sculpting fan brushes, but not the 'traditional' kind. This brush turned out to be a surprise favorite! First, it's super soft and second, it picks up a good amount of product but lays it down with precision and control. If you have smaller features you could try this for dusting finishing powder - maybe even contour, but personally I like this with powder highlighters and even buffing (yes!) the product into the skin to make the finish the most natural. I emphasis that this brush gives you a nice amount of control and picks up the product well, doesn't feel "flimsy" at all like some fan brushes may be. I used to love the look of duo-fibre brushes but grew to dislike them as my skin was so dry and flakey. Now I'm in a pretty good condition with my skin so I decided to give this brush a go - also because I love foundation (and contouring) brushes the most. The Beautylish site describes this fude as dense but airy, which is kind of true as the base has good density, but the length of the PBT hairs is just right for buffing foundation. I feel these hairs are soft enough for dry skin, but not ultra-soft like a kitten's paw - not necessarily a bad thing when it comes to a foundation brush. I love to use this brush for buffing foundation near my nose and chin area, it fits well into crevices of the nose for example and doesn't leave a streaky finish! But, I feel this brush works the best with more creamy foundations as with liquids the brush might absorb the product and doesn't move the foundation as seamlessly. 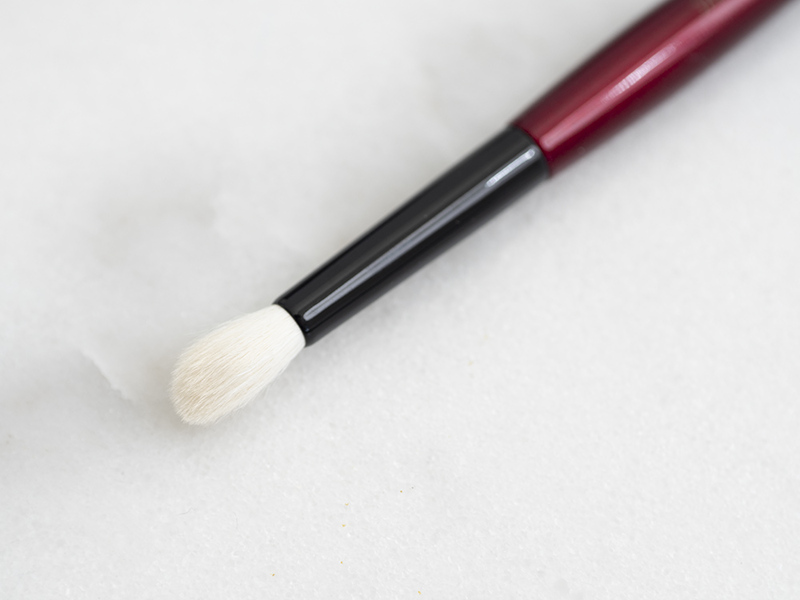 If you only wear tinted moisturizers and serum foundations, you might give this brush a pass. My foundation favorite for this brush has been from Chantecaille, but I imagine the SUQQU Extra Rich Cream Foundation (review here) or similar would perfect combo. I wish this brush was a bit less heavy and thick, but that's a personal preference: I like more slim handles opposite to big ones - unless they are very short. I think the thickness also makes the brush less easy to control. I've had no problems with washing the brushes, shedding, whatsoever. The handles are pure luxury, I love the weight and feel of them. My only problem has been with ferules (Builder One) and thickness (Base One), but these are personal preferences. These brushes are exquisite and I expected nothing less from Sonia. I probably wouldn't be purchasing all of the brushes, but I will certainly save up and invest in a few more. If you've ever had the moment "I wish my brush did this X" or "I wish there was a tool for that Y" then take a look at this collection and cherry-pick for your needs! You might find a new treasure.